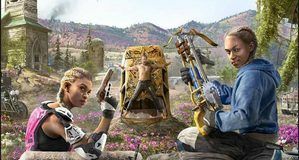 As a series, Far Cry has always had conflict at its center and Far Cry New Dawn isn't be any different. 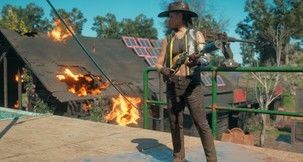 Although the post-apocalytpic version of Hope County looks a bit more colorful, it's anything but safe, as bandits and mutated wildlife roam around in search for prey. 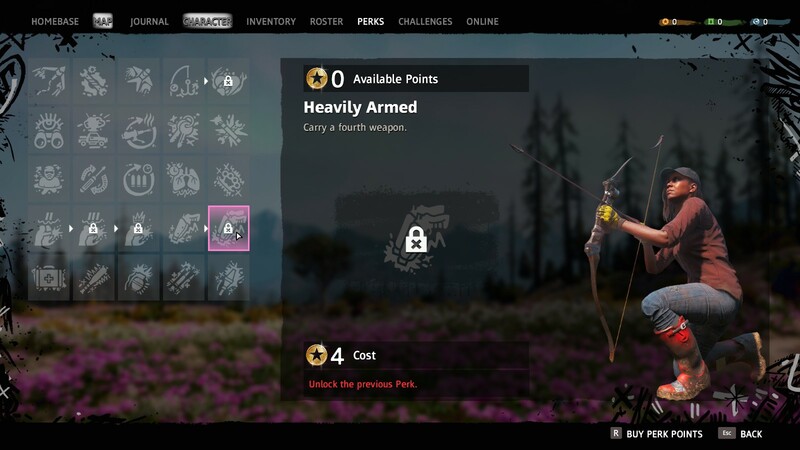 Luckily, Far Cry New Dawn gives its protagonist access to an ever-growing arsenal of makeshift weapons, although the two weapon slots you start with can feel like they're not enough at times. 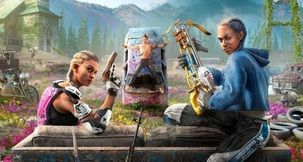 Here's how to carry more guns in Far Cry New Dawn. 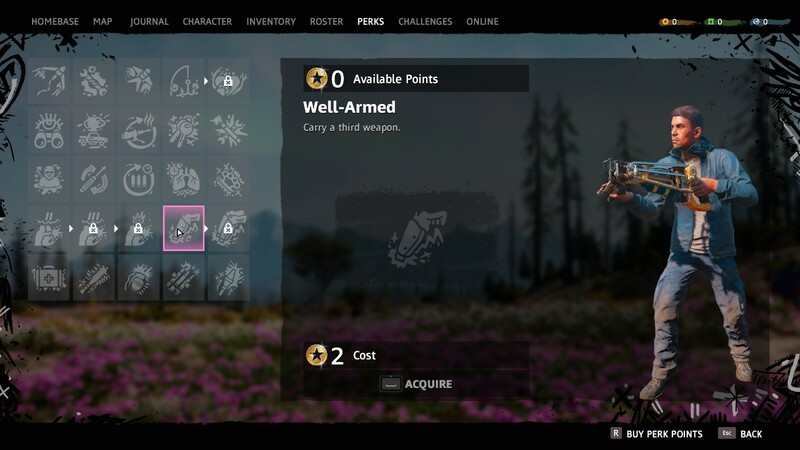 Out of the two weapon slots you start with in Far Cry New Dawn, one is reserved for handguns. In order to carry more guns, you need to upgrade your character with the appropriate Perks. This is done from the Perks screen. The Well-Armed perk gives you access to a third weapon, while the Heavily Armed perk opens up a fourth slot. Perks are unlocked with Perk points, which can be obtained in a number of ways. Completing Challenges, such as killing a set number of enemies with a particular gun type, is a good place to start. 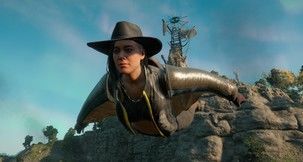 While exploring, you can also free prisoners from Prison Trucks that drive around Hope County or find special magazines, three of which can be found at the end of each Treasure Hunt. Do enough of these activities and it won't be long before you'll be able to carry more guns by using four weapon slots instead of just two.